When we say “run-of-the-mill” hotel, you probably imagine an over-chlorinated pool, a billboard promising premium channels and a duvet cover of very dubious cleanliness. 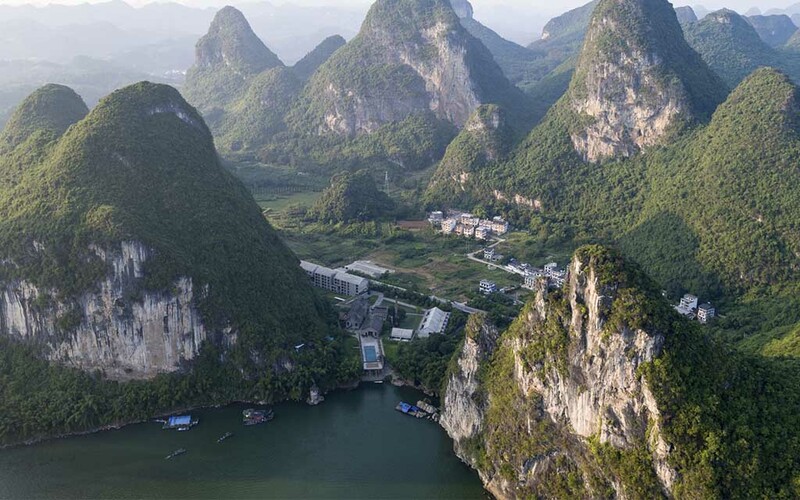 But the new Alila Yangshuo Hotel puts a different spin on the phrase: it’s located in a restored 1960s sugar mill in China’s Karst Mountains. 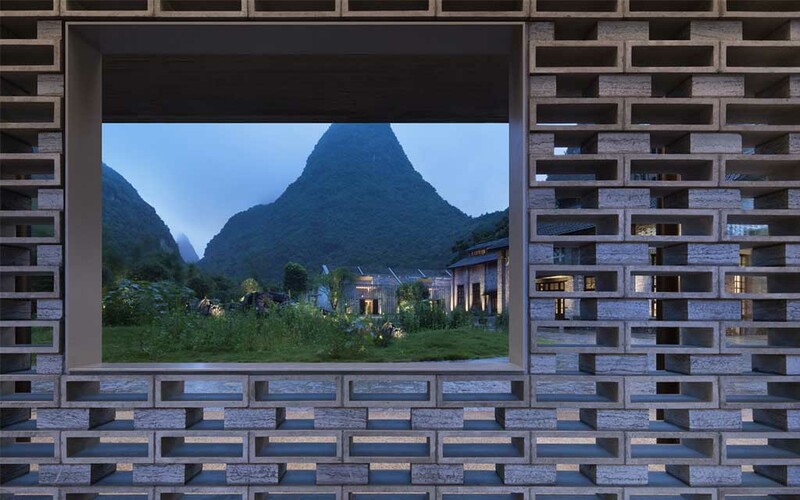 One of the latest projects from Beijing-based Vector Architects, the Alila is located in South Central China’s Yangshuo County and merges muted concrete buildings with the existing stone mill that together frame the natural splendor both in and around the hotel. 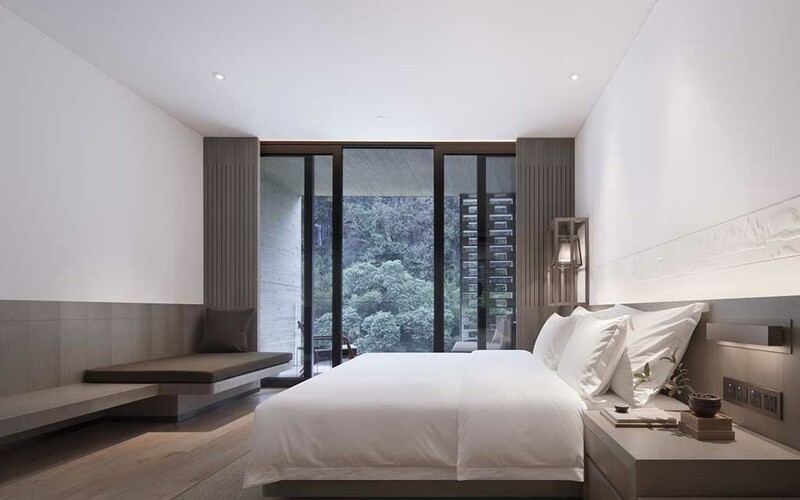 Large swaths of carved stone and bamboo allow light and air to flow through the space freely, making the hotel feel one with the surrounding mountains, bamboo forests and various bodies of water. 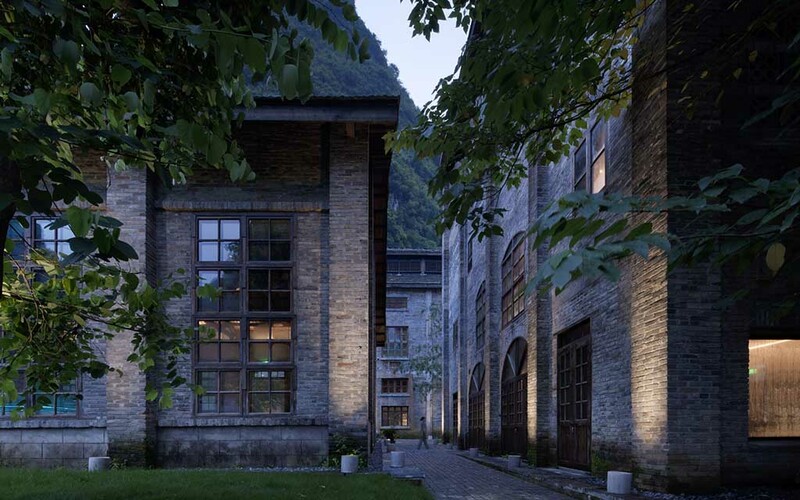 Elsewhere, many of the sugar mill’s brick and concrete structures have been restored to serve as reception, café, bar, library and gallery, while the loading dock used to transport sugar cane onto ships is now a swimming pool overlooking the Li river. New structures — most of them simple concrete buildings with gabled roofs — were created for the 117 guest rooms; the largest is the Sugar House Retreat, where you’ll find balconies overlooking the surrounding mountains. 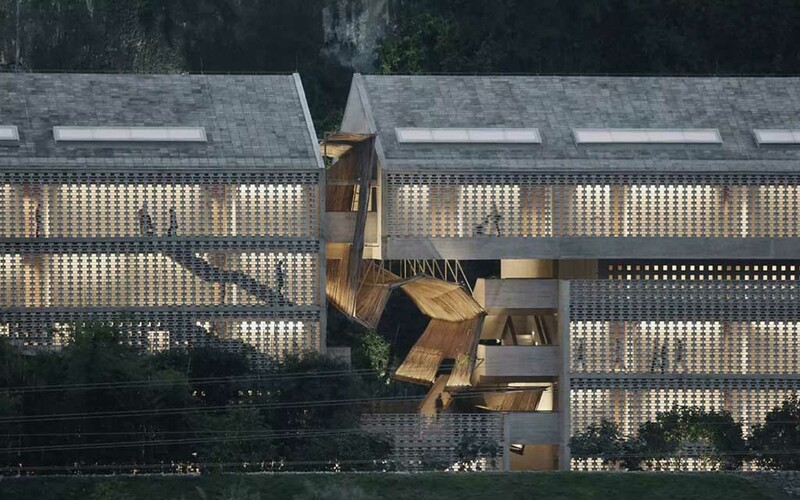 The hotel represents a stunning example of how skilled, sustainable design can breathe new life into a decaying industrial site — lord knows we’ve got plenty of those to go around on both sides of the Pacific. And despite the origins and our assertions to the contrary, it is anything but run-of-the-mill.